Nelson Vergel (PowerUSA.org) moderates a webcast with two leading HIV Cure research activists: Richard Jeffreys and Robert Reinhard. They update us on progress made after a cure was possible for Timothy Brown, the only person cured of HIV in 2007. Richard Jefferys began working in the HIV/AIDS field in 1993 at the nonprofit AIDS Treatment Data Network in New York City. Since that time he has written for the International AIDS Vaccine Initiative’s IAVI Report and, in late 2001, he joined the Treatment Action Group (TAG) where he now directs the Michael Palm Basic Science, Vaccines, and Cure Project. The project covers the pathogenesis and immunology of HIV infection and advocates for the development of immune-based therapies, effective vaccines, and a cure. Robert Reinhard serves as the Community Liaison and a Steering Committee member of the CanCURE research consortium (www.cancurehiv.org), a Canadian national team grant to understand the role of myeloid/macrophage cells in HIV persistence and cure strategies. He is also a research associate and community team member in the University of Toronto laboratory of Mario Ostrowski developing a therapeutic HIV vaccine. Robert is a member of the International AIDS Society Towards an HIV Cure Industry Collaboration working group. Nelson V.: Hello, everybody. Nelson Vergel here with Program for Wellness Restoration. We’re a non-profit organization that focuses on educational content for patients and clinicians about HIV side-effect management and cure research. Today we have the honor to have two of the top research activists in the world. I would consider … Obviously I have biases, but you guys really are the two smartest guys I know in the field when it comes to research advocacy. Giving us an update on what’s been happening since our last video. We did a video last year that is being watched over 3,000 times. So today we’re updating everybody on basically 12 months of work since then. I will start with introducing … I’m gonna have each one of you introduce yourself, Robert Reinhard and Richard Jefferys. Robert, why don’t we start with you and tell everybody what you do and where you work. Robert R.: Thank you for that kind and, at least in my case, undeserved introduction. I operate both in Canada and the United States. In Canada as a Community Liaison for a national consortium called CanCURE, which looks at research strategies for HIV cure for a certain cell population. And I work with other groups and other investigators internationally. As you say, my main focus is advocacy for HIV cure research, supporting that with funding and other kinds of knowledge dissemination activities. Nelson V.: Thank you. Richard? Richard J.: Thanks for the generous introduction, Nelson. I’m Richard Jefferys from Treatment Action Group, which is a community-based advocacy organization based in New York City that grew out of ACT UP New York. And I’m the Director of the Basic Science, Vaccines, and Cure Project, so I try and follow what’s happening in cure research and cover that for TAG. Nelson V.: Thank you. So why don’t we start with a real brief update. Before we start, I’d like to actually say a few words on something that most people may or may not know. This year, I think it was at CROI two, three months ago. Timothy Brown, the only person cured of HIV in the world celebrated his 10-year anniversary of his cure. And to be honest with you, I’m a research activist too. I’m not as involved as you guys when it comes to cure anymore. But I was hoping when we heard about the news 10 years ago that something would happen, and he would not be the only one cured in a decade. So it’s been very surprising and a little bit disappointing, not only for me but for the entire world to see the fact that we have not been able to replicate his case. In fact, the doctors that cured him by a very innovating approach tried to do the same thing with at least five other patients and, unfortunately, they all died due to complications. So that was very unfortunate. And, obviously, it’s not a practical thing to do since they’re high risk. But today’s objective is to find out what else are clinicians and researchers looking at to try to accelerate the cure for HIV. So we’re gonna go into an update of the latest conference that happened in February, the CROI conference. Richard, you wrote a long beautiful article for your Treatment Advocacy Group newsletter. It’s in the Tag.Org website. So why don’t we start with you giving us highlights of that conference? Richard J.: Sure thing. So there’s a few bits of news, I think. One of the challenges with trying to reproduce Timothy’s case, obviously, is that he was basically given an entire new immune system that was resistant to HIV, and that took. And that seems to have been able to protect him. And I think it’s been very challenging to do that with other people, but there have been some similar cases where a stem cell transplant can greatly reduce the amount of HIV that’s still residing in the body, and there was another case like that reported at CROI this year where an individual received a stem cell transplant. It wasn’t from a donor that was resistant to HIV infection. It was just from a normal donor. Like Timothy, it was part of treatment for cancer, and it greatly reduced the amount of HIV they could detect in his body. And eventually they did an antiretroviral therapy interruption, and he actually went for 288 days without any rebound. So that’s a very kind of strict remission where there doesn’t seem to have been any HIV activity at all for that period, a little over nine months. And so it does kind of support the idea that actually if you can do something hopefully one day less extreme than a stem cell transplant to reduce the HIV reservoir in the body, it can lead to this sort of prolonged remission from the infection. Unfortunately, it didn’t last. They’re still looking at what might have happened, if there was precipitating factors that maybe caused the viral rebound. He was actually involved in a car accident shortly before it happened, so there’s some speculation maybe the stress caused the inflammation and that somehow there was a wandering one or two cells still containing HIV that got an inflammatory kind of signal and that caused the rebound. But again, there have been these cases, and I think Robert knows of a couple of other cases where, actually, this quite extreme stem cell intervention, but it has shown that you can greatly reduce the reservoir. I don’t actually want to mention that some of those other cases were [inaudible 00:06:31]. Robert R.: Thank you. As Richard is explaining it, it’s very difficult to exactly duplicate what happened to Timothy because that really wasn’t a sort of pre-planned clinical trial. It was sort of a pre-planned discovery, I guess you might call it, that people sort of anticipated. But in trying to reproduce these cases there have been some suggestions. One case out of a European consortia called IsoStem and some other glimmers of ideas of cases out of Australia with patients who have been given these kinds of transplants and chemotherapy conditioning. They haven’t been taken off of antiretroviral drugs so that we know whether they’re going to have rebound or not, but the kind of signals that they produce are what you might call “Timothy Brown like.” We’re hopeful in that direction. With the Mayo Clinic patient, I think my concern, sometimes I’m a glass half empty kind of guy, it’s true he made it 288 days till rebound, but it also shows how small a virus reservoir, maybe even a single particle, is sufficient to cause rebound and how much we really need to hunt down the virus. Nelson V.: Any other update from the conference that was part of your article, Richard? Richard J.: Sure. Probably the study that drew the most attention was presented by Beatriz Mothe from a Spanish research institute, which I’m not sure I can pronounce correctly. Caixa, I think? It was definitely a somewhat more practical approach that we’ve been talking about with stem cell transplants. It was a combination of therapeutic vaccines, so the idea being to boost the immune response to the virus or create a better, more effective immune response, combined with an agent Romidepsin and an HDAC inhibitor, which in some studies seems to be able to sort of wake up some of the HIV reservoir that’s kind of invisible because it’s not active. And so the hope was that maybe combining a sort of immune booster with the lacency sort of reverser would have some effect. And what they found was these were … They had 13 individuals that’d been in a prior study of the therapeutic vaccines and were involved in a follow up study where they got the Romidepsin and some additional shots with the therapeutic vaccines. They then interrupted their antiretroviral therapy, and so far, 5 out of the 13 have not met the criteria for restarting antiretroviral therapy, which was a viral load over 2000 copies. And so that’s a sort of … It’s hard to draw major conclusions from such small numbers, but probably the highest proportion of people that have been shown to control viral load to that kind of low level after early treatment has been around [nor 00:09:45] % to maybe 15% at most. And 5 out of 13 is close to 40%, so it does appear that the interventions enhance the ability of those individuals to control their viral load without antiretroviral therapy. The longest person, it’s a little over six months, I think. It’s not certain how long it might last. Additional follow up is required. Whether the Romidepsin actually contributed, we don’t know because it was just a single-arm study, which means that everybody got the same interventions. There wasn’t a control group that received something different. The researcher believes that the vaccine helps target the immune response on regions of the virus that are very conserved and that perhaps most vulnerable to attack by the immune system and that that may be causing the viral load control. But that’s being looked at now. And so it’s a sort of hint that maybe it is possible to increase the number of people that are capable of controlling viral load, but whether you can do it in a way that’s lasting is unclear. Nelson V.: And this is a chemotherapy agent combined with a vaccine. Actually not at same time, right? Explain to the audience. And some people, obviously, don’t know much about research when it comes to cure. Why would we give a chemo agent to an HIV-positive person to try to find out if their HIV [pressure board 00:11:18] goes down or they can control the virus without medication? Richard J.: So an HDAC inhibitor like Romidepsin, it’s not chemotherapy as you might generally think about it. I think oftentimes when people say chemotherapy they’re talking about something that’s designed to kill cells, right? Cytotoxic chemotherapy kills cancer cells, kills healthy cells, is pretty horrible to take. The HDAC inhibitor is an anti-cancer agent, but it works by modulating how the genes in the cells, the sort of controlling functions of the cells, work. And it tries to modulate that, and it’s able to maybe modulate cause it’s into the genes where HIV is integrated. And by modulating those genes, it’s able to kind of prompt HIV to come out of that hiding spot. So that’s the idea of giving it to HIV-positive people is that you’ve got some cells, a very small number, mostly, where HIV is locked inside the genome into the genes of the cell, and the HDAC inhibitor may be able to prompt it out, sort of goad it out of that hiding place. Whether that can really work is, I think, still controversial. I know Robert’s kind of skeptical, and I think that’s kind of an important perspective to hear. Nelson V.: Why are you skeptical, Robert, of HDACs and that approach? Robert R.: Well, I think you bring up a good point, Nelson, and also Richard’s response that in cure research today, I think we’re in this sort of early … I almost think of as a Wild West stage of thinking about possible combinations of things. Almost everything looks good somewhat theoretically and maybe somewhat biologically, but the amount of pre-planned data or availability of data of why you pick certain things to combine with each other, I think can be very tenuous, not only this trial, for the reasons that Richard mentioned. We don’t know which was responsible for the result, but there’s some other trials in combination where it would be nice if we had not only a totally theoretical model but some real combination information data about why two things work more synergistically. With these latency reactivation agents, it sounds good. “Oh, we’re gonna make the virus creep out, and something’s gonna recognize it.” But the degree of HIV creeping out and being recognized is very, very tenuous sometimes. So it’d be nice, I think, if there was some more rationale for some of the combinations. Nelson V.: But Robert, do we have to know everything to find a cure? I mean some cures are found without even knowing how they work. Robert R.: You’re quite right, and again, Timothy Brown is a great example where somebody sort of took a chance. And as a case, proof of principle, I think we need both. We need these proof of principle ideas, but then once we have an idea, how do we improve on it to do something a little bit larger? Nelson V.: And you said there are other combinations or other combination approaches that are being tried. Can either one of you add some more to what they are? Richard J.: So, the other kinds of combinations that are being looked at in addition to therapeutic vaccines, there’s also these things called broadly neutralizing antibodies. These are antibodies that have been fished out of HIV positive people. There’s not enough of them to actually contribute to control, usually, in the person they’re from. But when they’re fished out and sort of manufactured, some of them are highly potent. They can strongly inhibit HIV from all kinds of different clades. And so they’re given this nomenclature of broadly neutralizing. A bunch of them now have been manufactured, so they’re ready to test in people as ongoing clinical trials. Again looking at broadly neutralizing antibodies in combination with each other, in combination with HDAC inhibitors like Romidepsin. Because there’s evidence that in addition to blocking HIV directly, the antibodies may be able to promote the killing of infected cells by the immune system. This thing called antibody dependent cellular cytotoxicity, which basically just means the antibody recruits, killer cells, to the infected cell and helps wipe it out. And so those kinds of things are being looked at. And one of the studies presented at CROI had two different broadly neutralizing antibodies given to … It was an animal experiment in macaques infected with a shiv. After infection, they gave a short course of the [duel 00:16:22] antibodies, and these animals, most of them controlled virus after the antibody therapy was stopped. So that’s very unusual. That was published shortly after the conference. And so there is some hope that maybe those kinds of approaches, combinations can also be effective. Robert R.: I don’t think this was reported so much at CROI, although it’s been in development, but Dan Barouch is about to start, or maybe he’s even started, Richard, a combination trial of a therapeutic vaccine and antibody as a sort of larger potentially curative trial, which could be probably very interesting. And he’s an example of what I was referring to before as somebody who I think has sort of tried to accumulate a biological rationale and data to suggest why this might be a helpful kind of experiment. Nelson V.: And for the audience that has no knowledge at all, obviously, of HIV research, just very briefly, no more than a few minutes, tell us why we have not been able to find just a vaccine that doesn’t need a combination of other agents to work when it comes to HIV? Why is HIV such a tricky virus that we cannot just find a vaccine like we did for Polio, for instance? Robert R.: Well, you’re also hitting on something near to my heart, which is what are the kinds of lessons that we can learn from the effort to find a preventive vaccine, which is hard enough, and apply that if possible to a therapeutic vaccine? Richard sort of alluded to this just now about how one of the ways in which vaccines work effectively, like the Polio vaccine, is can you teach the body to generate antibodies that really prevent infection or which can attack an infection that’s already established. And perhaps people do show examples after two or three years of infection of generating antibodies, but by then, this virus has mutated away from the kind of preventive blocking that those antibodies are able to perform. Also, this virus is covered with a big sugary shield, which means that the targets of the antibodies to go in and block are sort of punted away. I will say, again, when we think about are there isolated cases, this year there was a very interesting paper published. Again, just one person has been shown to act this way. A person who does not seem to need antiretroviral therapy, and who on their own was able to show generation of combination antibodies that the investigators suspect, we don’t know, may have been the reason that they seemed to be able to control their virus. If that person is an example, it’ll be very interesting to try to replicate with an experiment. Nelson V.: I’m sorry. Go ahead. Nelson V.: I broke off and sometimes … Finish your sentence. I’m sorry. Robert R.: I was just gonna defer to Richard that I think his explanation at the beginning was correct that it’s very rare to see this kind of protection from people being generated. And often, again, if their infection is chronic, they don’t personally benefit. Richard J.: And I think also, to answer your question partly, Nelson, one of the big challenges with HIV compared to other pathogens, and this is relevant to both vaccine and cure research, is that its preferred target cell is the cell that coordinates the immune response. Right? It’s the CD4 cell. If you get infected with flu or CMV or another virus, it’s gonna be the CD4 cell that’s recruiting all the other components of the immune system to do their job, control, or eliminate the virus. When the CD4 cell tries to do that against HIV, it’s vulnerable to being infected but rendered dysfunctional by the infection. And so the general or quarterback or whatever metaphor you might want to use for the CD4’s role in immune response, it’s being compromised. So the virus is messing with the very cell that needs to lead the charge against it. And that’s a difficult challenge to address. You know, that’s one of the reasons people are looking at things like gene therapy because it’s possible that to really cure a lot of people, you might need to do something to protect the CD4 cells from the virus. And that may be very difficult to do other than with gene therapy. Nelson V.: So let’s talk about that. That’s a good transition into the next topic, which is modifying CD4 cells to be able to fight off HIV. There’s a lot that has been going on. Some biotech companies have spent some effort and funding on this. Tell us where we are. Richard J.: Researcher Carl June from University of Pennsylvania, who’s been doing a lot of gene therapy work in cancer, gave a plenary at CROI about that kind of work, which involves not just modifying CD4 cells to try to make them resistant to HIV but also giving other immune cells, particularly CD8 T cells … Equipping them with a receptor that sort of allows them to see better their targets. So in cancer it allows them to target cancer cells better, and maybe in HIV we can get the CD8 cells to target HIV better by modifying them with gene therapy. And that’s something that he sort of highlights that there aren’t any trials happening right now, but I think that there are people working on that. And we can anticipate trials in the near future. There was also a community workshop on cure research at CROI, and Hans-Peter Kiem from the Fred Hutchinson Cancer Center and the Defeat HIV Collaboratory talked about their work. They’re only sort of getting into people with HIV and cancers at the moment, not people without cancers, but they are doing some stem cell modification, introducing genes to try and make CD4 cells resistant. And one of the interesting things about their approach is that they’ve seen some positive results in the macaque study, so they want to look at whether you can combine the gene therapy with a vaccine, so you try and expand the number of CD4 cells that are resistant but also targeting HIV. So you’ve got this kind of army against HIV that the virus can’t infect. And that’s one of their goals for the future. And I think that might be quite a promising approach. Nelson V.: Robert, do you have anything to add to the gene therapy discussion? Robert R.: Yeah, I think that Richard’s point is very well taken about how we can start with that example of Timothy Brown and then when you look at people at the Defeat Collaboratory and elsewhere, how they’re using these gene editing techniques to think of other ways to sort of alter the availability of cells that can do their function or orchestrate the response, as Richard said. And some of the other advances that I find interesting are that there have been some other papers of a more general nature, perhaps also not at CROI, about the machinery and the almost factory-like way of making these cells happen. And so hopefully those are going to make the job of introducing these modified cells a little bit easier than always relying on hard-to-find transplant donors. It is very encouraging to see some of these advances in that field. Nelson V.: And let’s talk a little bit about funding. I know you guys are probably not involved with funding discussions, but where are researchers usually getting the funds, at least in the United States, to do these kind of studies? Do these studies also benefit any other conditions outside HIV, and any concerns about future funding due to the current Administration that we are going through right now? Real quick. Richard J.: I guess I’ll go first on this controversial question. Obviously we live in strange times. I think, unfortunately, we currently have an Administration in the United States that doesn’t value science very much. They’re proposing an absurd 20% cut to the budget of the National Institutes of Health. This would be terrible. It’s kind of taking away a possible future, and you don’t even know what you’re losing because the cuts would be so huge and broad that the kinds of advances we could make in medicine won’t happen, and we won’t know what we’ve lost. It would be terrible. I think Congress will stop that happening, but it’s still kind of sad to see science being so devalued. And obviously there was a lot of marches this past weekend by many hundreds of thousands, millions of people that are upset about that. I think in terms of what’s happening now in cure research, no. The National Institutes of Health probably funds about two-thirds? Maybe three-quarters globally of what’s happening? And there is a lot of potential, I think, for cross-pollination with other fields. The International Aids Society is having a conference in July on HIV cure research and cancer research. Some of the immunotherapies that have started working quite dramatically in cancer have their origins partly in HIV research around T cell function. And I think, also, as HIV vectors are being used to treat cancer patients to deliver genes that are therapeutic, and those have been working very well. And at the bottom line about HIV is for all the horrors that it’s caused, it’s also forced us to learn more about the human immune system than we ever knew before. And the more you learn about how you can … The immune system is incredibly powerful. If you can turn it on as a weapon and use it, that’s gonna be a huge thing for the future. Nelson V.: Robert from Canada, but you work in the United States? Robert R.: It’s hard to add to really all the great points that Richard made. Maybe one point I would elaborate on, again, this idea of how HIV research is so synergistic with other important disease problems. I think everybody needs to do a better job of explaining the story of the way in which both basic and clinical research helps all diseases, understanding these important immune functions that Richard referred to. One of the areas globally that I think really deserves a lot more attention, and which often gets short shrift, especially on this cure angle, not just on therapy, are the intersections of HIV with other serious co-infections like Tuberculosis, Malaria, Hepatitis … The interaction, the epidemiology of how this affects people globally, causing millions of really unnecessary deaths is an area of scientific research that is tremendously under-explored. There is going to be a great conference next year in Keystone where TB/HIV immunology co-infection will be be looked at. And again, I think for curative purposes, understanding the immunological overlaps between these very serious diseases can help us think about how to help people in a lot of different situations. Nelson V.: Good points. Good points. 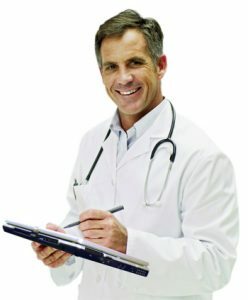 So what do you guys think when somebody’s … I get from the community a lot of emails, and one of the very common ones is that the pharmaceutical industry is not looking forward to having a cure. They’re not spending any efforts on a cure cause they want everybody spending millions on their drugs. What do you say to that? That’s a very common question I get. Richard J.: I think you have to look at the example of Hepatitis C, right? Hepatitis C can be cured. There’s been a massive pharmaceutical company investment in curing Hepatitis C. The focus hasn’t been on trying to make treatments the way people often say. Unfortunately, what the downside is, the problem isn’t that the pharmaceutical industry doesn’t want to develop cures, the problem is that when they work, they’re gonna charge a fortune for them. Right? Richard J.: So that’s the big advocacy issue. That’s what people are wrestling with in Hepatitis C right now. Nelson V.: And let’s now move into a subject that is dear to my heart and dear to your hearts too, cause we’re all working together right now, trying to get some interest from the industry, the researchers, funding sources, about a minority of the HIV population called the immunological non-responders. We’re getting a lot of good news about HIV, that we have several treatments, and people are doing better. And obviously that’s true, but there are at least 17 to 20% of us that have been positive, sometimes for a long time, that even though we’re taking our medications on time, our viral load is undetectable, we have not been able to reconstitute our immune system to a level where hopefully we do not have as many complications in the future. That’s almost like an orphan population. Nobody’s really spending much time on trying to find ways to boost their immune system and hopefully their future survival. We’re all the three of us working in kind of a working group tying to … We already had a meeting with the FDA, which was very positive. 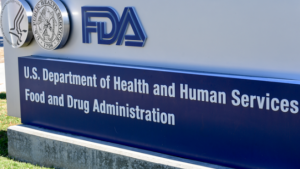 The FDA is very supportive of more research in this area. But tell us more about why it is important to do research to help these people, what benefits we’re gonna get beyond just saving them or helping them, and what can industry and researchers do to accelerate and be motivated to spend money on some therapeutic approaches that may actually be approved for this population. So either one of you, Robert or Richard … Whoever. Robert R.: I guess I can start. It’s true we’ve all three been thinking about this problem. But when you start out by saying a minority of us, so the “us” globally right now is about 37 million people who we are estimated to have HIV. Robert R.: So that could be 8 million people (INR). That’s a lot of people. And we need to understand, I think, a lot more about the reasons of why people have a hard time recovering this sort of immune function, whether they are on ART or sometimes not. And to me, again, this is another kind of secondary outcome that we might hope for out of cure research even if we are going to be short of actually having cures that are safe, effective, accessible, and available to all. What are some of the interim steps before we get to full-blown cure? If cure research, by definition, is thinking about reviving, boosting, again these are metaphors, of making the immune function more able to do its job, a lot of the strategies that are being used, it suggests that we really need to think about designing studies and trials that include this population – less immunologically responding – within an ethically designed trial that will provide some proof of concept or information. And there are other ideas out there about therapeutic agents that might help boost CD4 counts, or if we think that this phenomenon is generated by some kind of exhaustion of the immune system or deterioration, are there agents that are good at helping to counteract that? Richard and I, and I think you too, we are all geeky enough we also like to read all the posters at these conferences, which always don’t get attention. And there was a poster at CROI about the drug metformin, which might be used to help with this immune exhaustion problem, if indeed it is a factor in thinking about this. I just also want to give a shout out for poster viewing because remember the whole enterprise of cure research started because Marty Delaney looked at a poster that talked about Timothy Brown and pushed it in front of people. So there’s some value in trying to find out this information. Richard J.: I know. I’d concur with that obviously. I think one of the challenges we face is, I know we’ve been discussing it a little bit, is proving benefit of an intervention in the immunologic non-responder population. Thankfully, the incidence of illness or premature mortality is low, which is a good thing, but if you want to show that an intervention, if it’s an immune booster of some kind, actually has a benefit to people, you have to do a very large trial. And so one of the things we’d like to do is encourage researchers to look at whether there are less serious endpoints that could actually be evaluated that might help in the design of trials that are a bit more feasible to conduct, maybe involved hundreds of people rather than thousands. And I think, like Robert said also, just to be cognizant of the potential for a cure intervention if it doesn’t actually have a curative effect that it may affect a mechanism that could be beneficial for immunological non-responders. And that’s something that we want to keep an eye out for. There was one study presented by Priscilla Hsue from UCSF at CROI of an anti-inflammatory antibody that had quite dramatic effects on various inflammation markers, sort of more than had been seen before. I can’t even pronounce it. I think it’s canakinumab, or something like that. It inhibits I01 beta, which is some kind of inflammatory cytokine. And so that’s in a large study in HIV negative people for heart disease. Richard J.: If you can pronounce it, Robert, go ahead. Robert R.: I’ll just take a shot, yes: vedolizumab. Richard J.: Okay, there you go. And so in the monkey study they did before the human trial, it seemed to promote immune in a quite significant CD4 reconstitution, so maybe there’s some promise there, too. Nelson V.: Yeah, and you know I’m actually interested in therapies that are already approved for other conditions. Richard J.: Yeah, and that’s an example. Yeah. Nelson V.: [Crosstalk 00:38:58] faster and there’s some research on JAK inhibitors that are approved for rheumatoid arthritis. Some of them are approved for inflammatory bowel disease. Some of them are approved for melanoma. So a lot of these biologics … And it is a hard time for approval of biologics in all kinds of conditions. And that really interests me because they’re already approved. They could generate another indication for a small population … Robert, I get what you say: The INR are not as small as 20%, but 20% of 36 million is not a small number. But [inaudible 00:39:43] simply. Very interested also in the metformin data. It is approved as an old generic for diabetes. I actually started taking it that day when I read that poster that Robert sent, and we’ll see. I’m an end of one, and I like to self test. Very interesting data on inflammation and even oral liposomal [Luthavian 00:40:05], which is an antioxidant that our bodies have to be used to combat disease and inflammation. And there’s some very interesting data. I’ve talked to the researchers. So my obsession lately is … Because you guys do a really good job at what you do. I do my job on what I can do, which is concentrate on things which are already out there, either prescription based or over-the-counter, believe it or not, that could lead to some sort of even improve of 20% of immune response or even decreasing inflammation while we’re taking HIV medications, while we have a viral load of under 20 copies, which is undetectable. And as we age with HIV, and aging with HIV is a hot topic, as more than 50% of us in the United States are reaching 50 years of age or older. And obviously, as we get older, there are other complications that we may actually have at a younger age than HIV negative. What I plead to anybody watching this video, especially from industry, is not to assume that proving that a therapy that increases CD4s for that population is gonna be very impossible or hard to prove to the FDA, or you’re gonna have to spend millions and millions of dollars in long-term data gathering. We’ve had some experience in the past with interleukin 2 and even interleukin 17, and obviously that led to no approval. There’ve been a lot of companies kind of shied away from looking at many interesting therapies. So my plea to industry and even funders, who knows who watches this, is that there is a need out there. We will have more than HIV benefiting from this research. There is a possibility for a fast-track approval with a smaller number of patients if we find markers that have clinical relevance beyond survival, obviously. That’s an old study. So, you will hear more about this, for the audience out there. For those of you that have, obviously, under 350 CD4 cells after at least three years of taking your meds on time and having undetected viral load, this message is for you. We’re not trying to scare people. We do have a higher risk of complications in the future and as patients, we have to advocate for this too. So industry, doubling back on that, just hear. And actually TAG, Tag.Org, you guys have a press release that we send out with minutes from the FDA meeting. There is interest in this. There is ways to get something approved. Obviously there’s gonna be discussions on what markers to use. And more than one pathology can benefit from this. I’m gonna get off my soapbox, for this is a very personal topic for me and for you guys. Let’s talk before we close out because we’re almost at 40 minutes. I promised to keep this under 45. Just real quick, what do you tell patients and doctors too, actually, treating physicians, when they hear every other week or every three weeks or every month news about the latest cure or the latest on the media … How do we manage that hype without losing hope, obviously? Either one of you. Richard J.: That’s a tough one because it doesn’t, unfortunately, in an age when media outlets are increasingly desperate for funding because of the old model of newspapers doesn’t really apply any more, the new kind of currency is clicks. So, headlines that generate clicks are the kind of headlines that media outlets want. So, for example, the study we talked about earlier of the therapeutic vaccines where some people were controlling viral load a little bit, those people were called HIV-free by some newspaper headlines and The Independent in the UK. And those things are problematic because they’re profoundly misleading to people. They might cause people to join trials thinking they’re gonna be cured when in fact there can be a lot of risk in a trial. The thing that I would recommend is that when you see misleading headlines, write a letter to the editor. Most media websites have a contact form. It’s a bit after the fact, but if you keep doing it, then maybe eventually we can kind of shift perspective on that a little bit and try and get some more responsible reporting. I think in the meantime, right now we don’t have a cure that’s imminent, and that’s important for people to know. Nelson V.: Robert, you have anything to add to that very long topic? Robert R.: I sometimes think of this as we take both the short-term view and the long-term view. In a sense this is never new because every serious disease, there’s always this huge amount of built up hope among patients who have very serious outcomes to worry about. And so it’s a natural human tendency to look for that. But I think, as Richard’s organization does tremendously well, and others, it also spurs you on to go out and meet with people and really talk through things and get to know people personally, not just through social media but through real engagement activities. I’ll tell you one of the great things I’ve learned about interacting with populations in Canada, which has a very diverse HIV epidemiology, amazingly different populations: Indigenous people, Africans and Caribbeans, gay men, people who use drugs, the whole spectrum. And each brings so much rich ideas about what they think a cure means to them, or what they want out of a cure. And when you actually get to talk to people and learn about what they think about and their daily lives, it helps you, I think, get people back on track about what’s good information for them and what’s a good way to talk about it. So that’s what I would add to what Richard is saying. Nelson V.: As resources, Richard, where would you tell somebody that is interested in either joining a study, looking at what studies are out there … ? I know you write a report called The Pipeline Report? You guys do one a year? And update on the pipeline and research not only for HIV, TB and also for cure. Can you tell us a little bit about where you would send doctors and patients that want to find out more not only about joining studies but what the studies are actually … What they are? Richard J.: Sure. Thankfully these days, a lot of trials are registered in databases. So one of the things TAG does is just have a web page that we update about once a month that sort of collates information on all the ongoing trials from the main databases, particularly Clinicaltrials.Gov, which is the U.S. federal government database where many trials are registered. The TAG Pipeline Report comes out once a year in July, so that will be out again this year. I think the other thing that people might want to take a look at is in the U.S. that National Institutes of Health funds the Martin Delaney Collaboratories named after the activist from Project Inform. There was three funded initially. They recently re-funded … There’s now six, I believe? You can find on the National Institute of Allergy and Infectious Diseases website … There’s a news release if you search for it from Martin Delaney listing those collaboratories. They’re all instituting community advisory boards. I’m not sure if it’s all complete yet. I think if you’re a community person interested in being more involved, it might be worth reaching out to those collaboratory investigators to see if they have room for involvement in the community advisory bodies. And that’s also a good way of finding out what work is happening there. Nelson V.: Yeah, and in my case, my non-profit is called Program for Wellness Restoration, and the website is PowerUSA.Org. I have the contact form there that you can also fill out, and I’ll be more than happy to send you information on cure studies that may or may not be enrolling yet. There’s information on my site on general health and how to stay healthy with HIV, and obviously we have a YouTube channel under Program for Wellness Restoration where this video will be uploaded for everybody to watch. You can also go to TheBody.Com. It’s a site where they have a bunch of experts and writers, and we post there too. Very good place to find out all kinds of information about staying healthy with HIV. Richard, how about from your side? Any resources, not only from Canada but related to the work you do? Robert R.: Yeah. You mean Robert. Nelson V.: I’m sorry [crosstalk 00:50:14]. Robert R.: I think you gave me this opportunity. I feel in hindsight maybe we’ve been a little remiss in not including within this overall conversation some mention of the important work being done in HIV cure or treatment for pediatric populations. Although it wasn’t emphasized at CROI, there was a great plenary talk by Jintanat Ananworanich, which really captured a lot of what was very important about not only how we look at cures across all different ages and populations but this idea that I was trying to articulate and she did a better job of doing of sort of the secondary benefits of understanding. So I would recommend people going to that. Our particular consortium in Canada has a great website. It’s called CanCureHIV.Org. And we are trying as a community engagement effort to start a new initiative where we create one-page, friendly lay summaries to be handed to participants in studies about what happened in the research. And this is not just for clinical trials, but I think a lot of people missed the opportunity to communicate results when people are just getting blood samples or there’s not intervention. We’re just trying to learn what’s happening mechanistically. And they often get overlooked, so we’re trying to produce things that we’re going to start posting about the many early basic science studies that happen where human participants interact with researchers and, deservedly so, should find out about what happened with the samples that they gave. And the pediatric population group in the United States has a great website called the IMPAACT set of trials, which are led by Deborah Persaud and others. And in Canada the consortium is called the EPIC 4 consortium with a great website. Nelson V.: Once again, thank you so much, you guys, for volunteering your time to update the community and clinicians. And I want to thank all the audience there that’s watching this video. Please keep the hope up. People are working very hard to find a cure. Don’t believe the hype, but also don’t believe the negative messaging that may be coming to you about nobody really caring about finding a cure because there are many people competing. This is actually a huge competition out there to see who gets there first. And there are many teams. There’s hope. There’s a lot of work to be done, a lot of advocacy to be done, a lot of funding issues that we still need to face in this new Administration, and just stay-tuned for the next update. And thanks a lot for my two friends and advocates Richard Jefferys and Robert Reinhard for donating their time and all the work you do for the community by going to all these conferences and being our geeks to translate information to the community. So thank you so much, and good bye. We’ll see you soon in the next update. Bye bye. Bye guys. Richard J.: Bye. Thanks, Nelson.